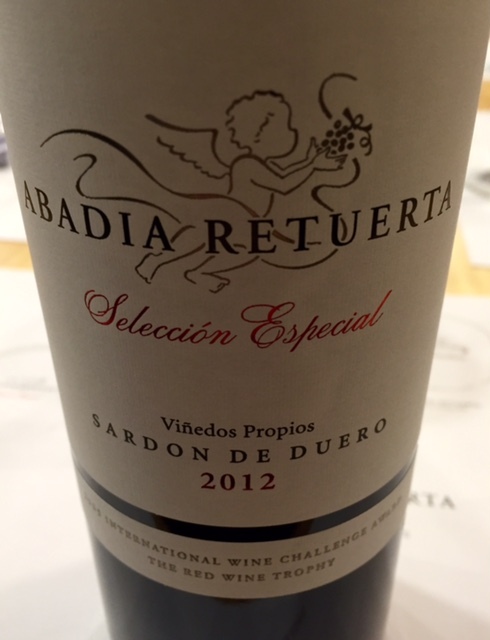 Abadia Retuerta produces beautiful wines from estate vineyards that sit just outside the Ribera del Duero Denominacien Origen, or D.O., in Northern Spain. Though technically not in the Ribera del Duero D.O., it is on the Golden Mile, the stretch of road that hosts some of Ribera’s finest addresses: Vega Sicilia, Aalto, Pingus and Mauro. We toured Abadia Retuerta as a part of the Fine Vintage Ltd. Spain Wine Tour in September of 2016. 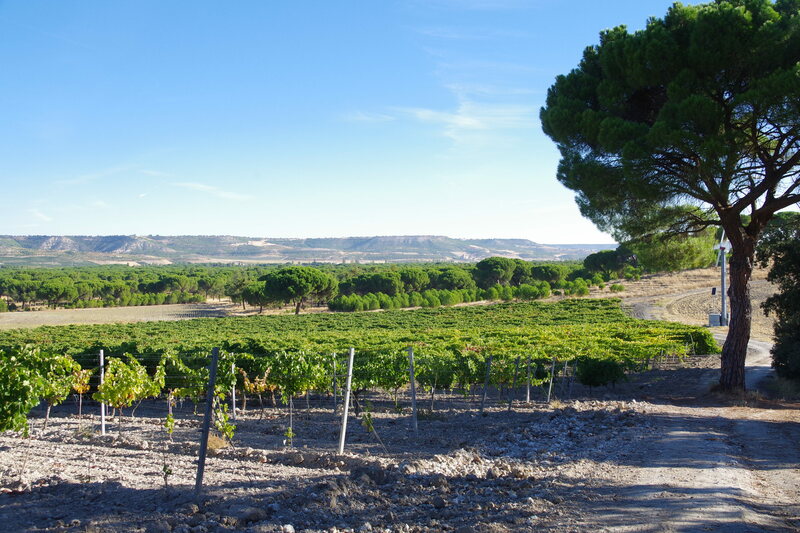 Abadia Retuerta found its beginnings as a vineyard in 1988, when it was acquired by pharmaceuticals giant Sandoz who later merged with Ceba-Geigy to become what is now Novartis. No vines existed on the property then as it was planted to cereals and tubers. Juan Jose Abo, a lawyer, wine merchant and secretary of the International Wine Academy recommended the project to Sandoz’ president, Marc Moret and the winery was conceived. The estate remains in the hands of Novartis today. Abadia Retuerta first planted their vines in 1991. The estate owns 710 Ha and has planted 210 Ha to vines. The focus here is all about different vineyard plots (blocks), or “pagos” as they are referred to in Spain. The winery has mapped the area and divided their vineyard into 54 different pagos, each pago defined by the different soil type found at that block. The vineyards sit just south of the Duero River and the pagos nearest the riverbank are dominated by clay. As you move away from the river and up the slopes you encounter more pebbles and sand; you will find stones in the lower parts of the estate and limestone on the higher grounds. Each pago has just one grape variety planted on it, the variety that is best suited to the soil and micro-climate of that block. 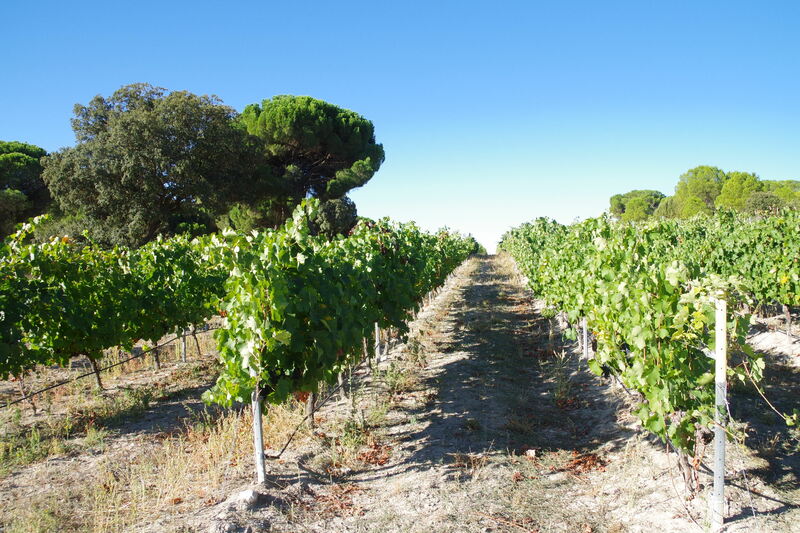 Tempranillo is the dominant variety with 146 Ha planted; there are 40 Ha of Cabernet Sauvignon, 16 Ha of Merlot, 2 Ha of Syrah and 2 Ha of Petit Verdot. These other grape varieties are permitted because the estate is just outside of the D.O. and therefore not subject to its regulations. The winery itself is a stunning sight and is one of the most modern in the world. It was designed by consulting oenologist, Pascal Delbeck. Delbeck is a highly sought after enologist who comes from Lilbourn in St. Emilion on Bordeaux’s Right Bank. As well as consulting for a number of clients around the world, Delbeck is also the winemaker at ultra-recherché Chateau Ausone. Pascal’s wife likes to tease that he is a “mad inventor” but several pivotal winemaking patents owned by him show more than madness to his inventions: patents include gravitational pump-overs, special light-weight plastic cartons for carrying grapes and grape selection conveyor belt. Winemaking is handled by Angel Anocibar Beloqui, whose youth runs alongside impeccable credentials: a PhD in Enology and Ampleography from the University of Bordeaux as well as being named International Wine Challenge 2005 Winemaker of the Year. 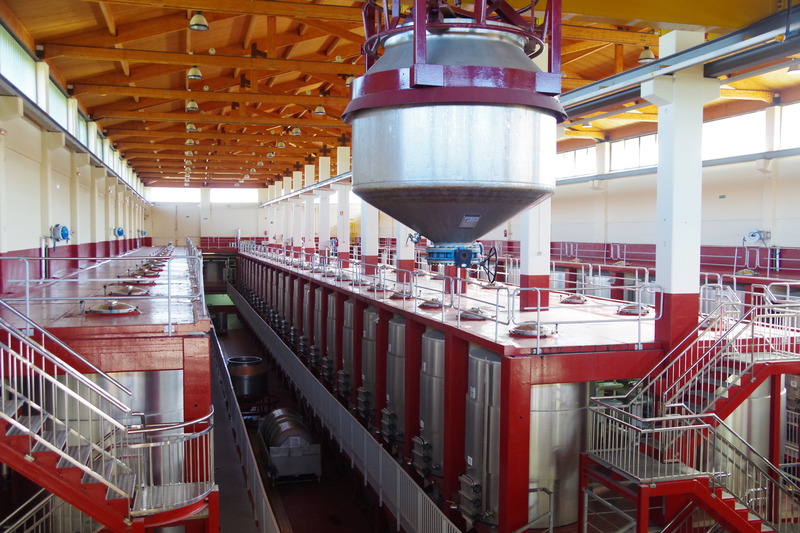 The winery is completely gravity fed which allows for a gentler handling of the grapes resulting in a smoother finished wine. Intervention is kept to a minimum to allow the terroir, not the winemaker’s hand, to show through. 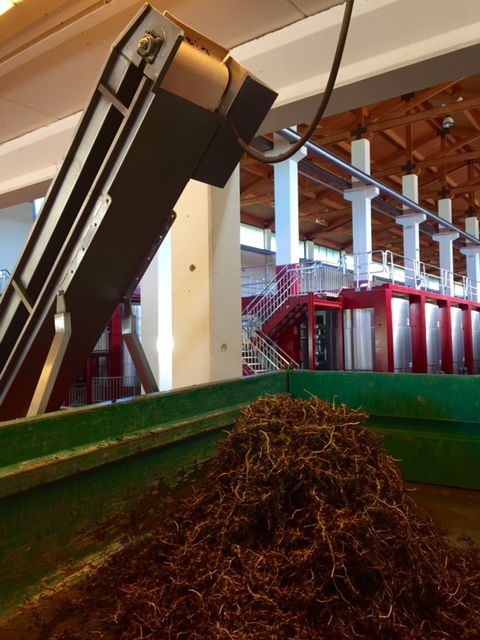 Even though Novartis has invested over 18 million euros in this winery, they have managed to keep their prices very fair, especially when one considers the quality of their wines. Abadia Retuerta truly sits on the cutting edge of modern winemaking, yet it maintains a profound respect for tradition. In fact, the property is built around a 12th Century Abbey. Abadia Retuerta can be translated as “Abbey at the turn in the river”. The Abbey has been converted into a luxurious 5 star hotel and spa. This modernity and tradition co-exist wonderfully together. They express this philosophy beautifully when they state “We make technology serve tradition”. This wine spends 16 months in French and American oak and 2 years in bottle prior to release. Deep garnet colour. The nose offers up copious quantities of blackberry infused with smoky notes from the barrel. Black cherry and boysenberry form the palate that is fairly structured with medium+ tannin and medium+ acidity. This is serious Tempranillo that offers great rewards to those who can keep their hands off of it for a few more years. A blend of 75% Tempranillo, 15% Cabernet Sauvignon and 10% Syrah. The Pago Negralada is a block of deep gravel soils with sand at the surface. Already very complex, this 100% Tempranillo wine offers licorice, vanilla and minerally spices behind a front of black cherry. This is a plush wine, definitely modern in style that has a beautiful, gentle mouthfeel. 24 months in new oak adds texture to the wine without masking the fruit. Hedonistic but very sophisticated. Wow, Modern is right – and the money backing it, too! I love the combination of history and modernity–definitely something you can witness more often while visiting wineries in Europe vs those here in the U.S. I haven’t been to the wine regions in Spain but would love to go. 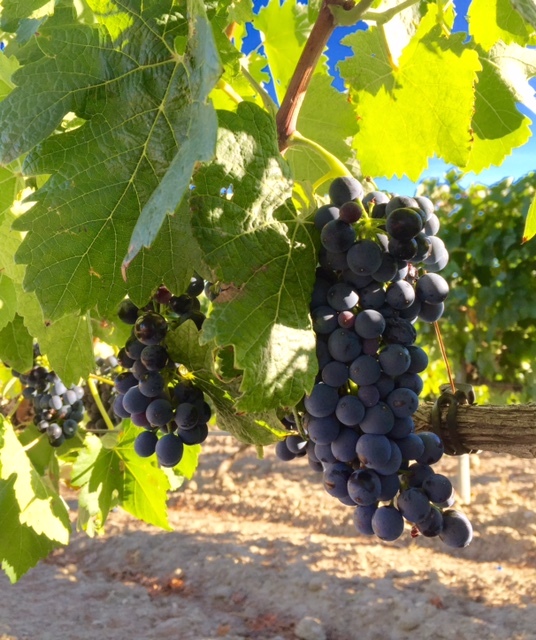 Tempranillo is one of my favorite varietals! Wine from my favorite wine region! I’ve tasted their before, drove past, but have not stopped there so thanks for sharing this. I hope you stayed in Valladolid when you were here, great city. There’s also a fantastic restaurant, Asados Nazareno, with a brilliant view in the town of Roa, about 45 minutes east and north of Abadia Retuerta, past Peñafiel. Try the lamb if you ever return. Cheers! We stayed at Pesquera and had traditional cochinillo at Jose Maria restaurant (another well known asado). We definitely plan to return and have noted your recommendations, cheers! What an impressive and interesting looking winery! Really worth a visit…we were so impressed by all the wineries both modern & traditional in Northern Spain, highly recommend! Fine Vintage Ltd. Spain Wine Tour sounds like a must-must-must! Wow. Looks like you were there at the perfect time to really learn from them. How cool that you had this experience. Man…we always want to age our Tempranillo, but can never “keep our hands off it” as you say. We are lucky if we have even a couple bottles surviving in our cellar. I’d love to see the map of their pagos — how interesting. Thanks so much for sharing! We highly recommend Fine Vintage – first class experience on every aspect and as big fans of Tempranillo we completely understand!